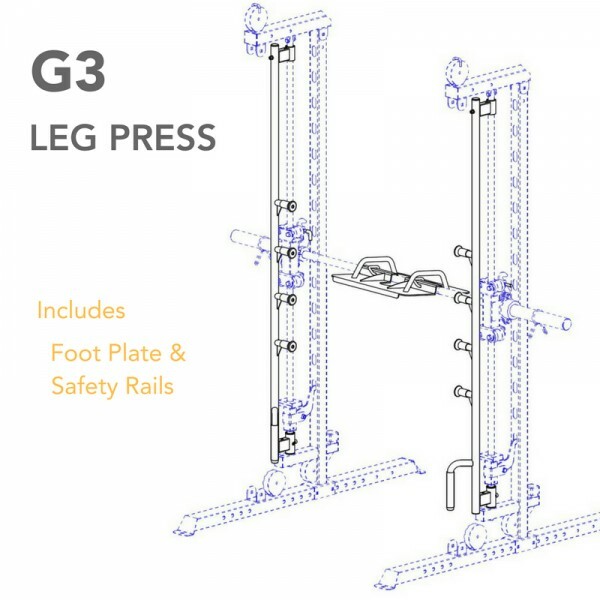 The F-G3-Legpress is an attachment which connects to the F-G3-Base, Monster G3. You need to own the Monster G3 for this to work. 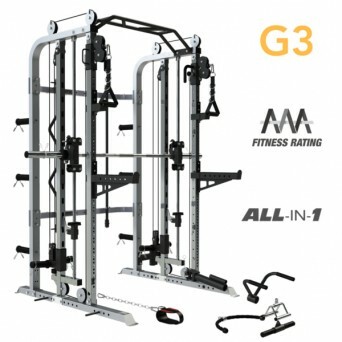 Add even more workout options to your G3 ALL-IN-ONE training system with the Leg Press add-on. This option includes leg press footplate and safety rails. Strong legs are the foundation for explosive performance. Boost your athleticism and metabolism while building solid legs. A major advantage from using a Vertical Leg Press is the support your back receives throughout the movement. Your back can remain completely relaxed while in the horizontal position. The G3 Leg Press targets the Quadriceps whilst also placing an emphasis on the inner thigh muscles or glutes depending on your foot position. 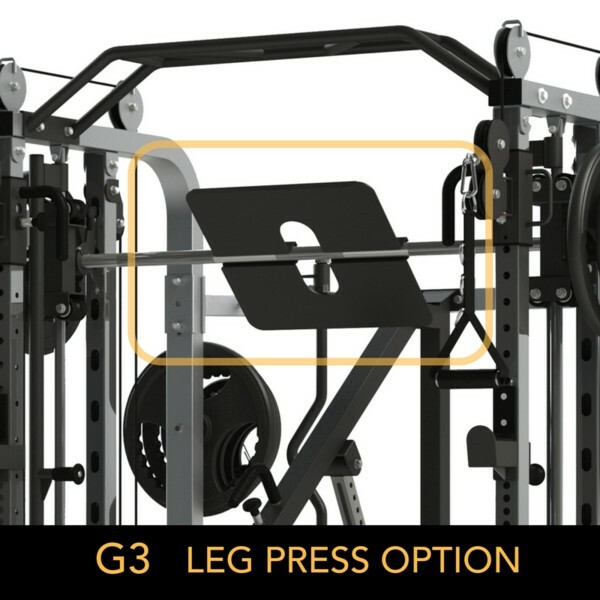 Vary your leg training and focus with the G3 Leg Press. 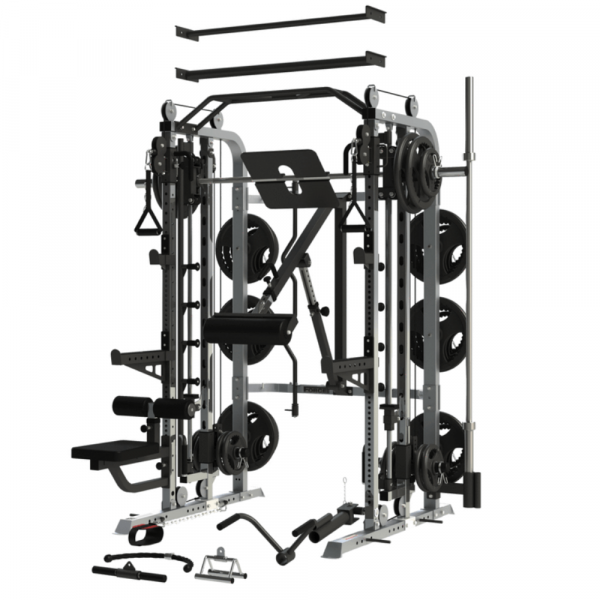 The oversized footplate allows you to train with a wide or narrow stance. Achieve rapid gains by adding Force USA Super Bands (sold separately) to your leg press exercises. Position the bands over the G3 weight sleeves and band pegs (included in the SPOTTER option) added to the holes on the lower G3 frame base. Extremely heavy gauge structured rolled steel tubing. Only the best grade steel is used in every component to ensure your Monster G3 is the highest quality and built to last. Eco-friendly commercial grade powder coat followed by a clear coating. Durable and long lasting protection. American innovation and design. Superior quality; strength and stability. Make sure it’s Force USA. The trusted name in strength equipment.